Take it from a writer; there is nothing more intimidating than a blank page. Or in the case of a novice marketer, a brand new social media account. It’s not overwhelming because there is nothing to say, it’s because there is so much to say. Between videos, articles, GIFs, stand-alone graphics and pictures there are endless possibilities to show your audience who your brand is. How do you start? Creating a content plan is essential to narrow down all the possibilities into achievable content goals. It’s also important to check out what your competitors are doing to see what topics your target audience might be interested in. Finally, look at the big guys to see what industry leaders are doing with their unlimited resources. Your brand might not achieve millions of followers, but getting inspired is an important and often overlooked step towards a stellar social media presence. 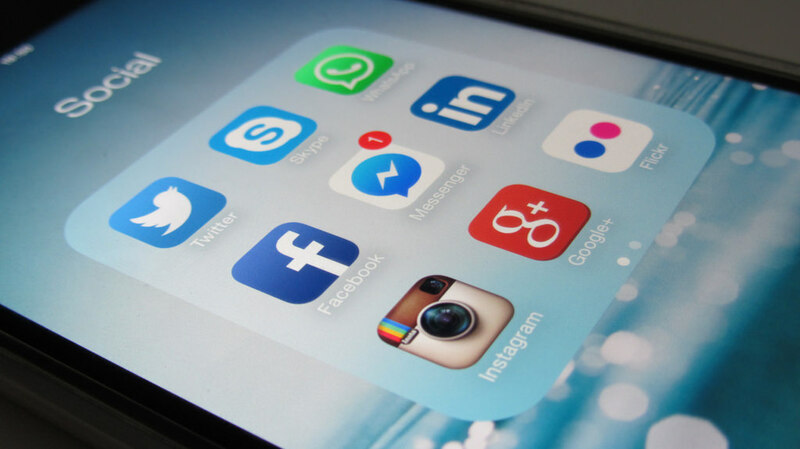 Here are a couple brands worth following on social media. L.L. Bean has built their brand on carrying absolutely everything a customer might need to live life outside; they’re a lifestyle brand. They use their social media accounts to their fullest potential thanks to carefully curated images from their most loyal customers. L.L. 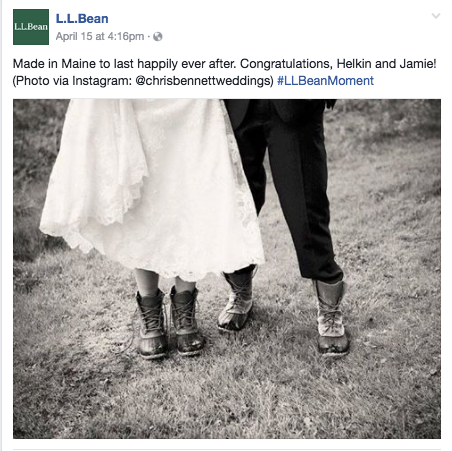 Bean scours Instagram for images that use their hashtag #LLBeanMoment. Then they reach out directly to the photographer and ask permission to share that image with their millions of social media followers. This is great because it creates a one-on-one exchange between a brand and a customer, with the added bonus of free images for the brand and greater exposure for the photographer. In this example, L.L. Bean reached out to a wedding photographer who captured a bride and groom rocking L.L. 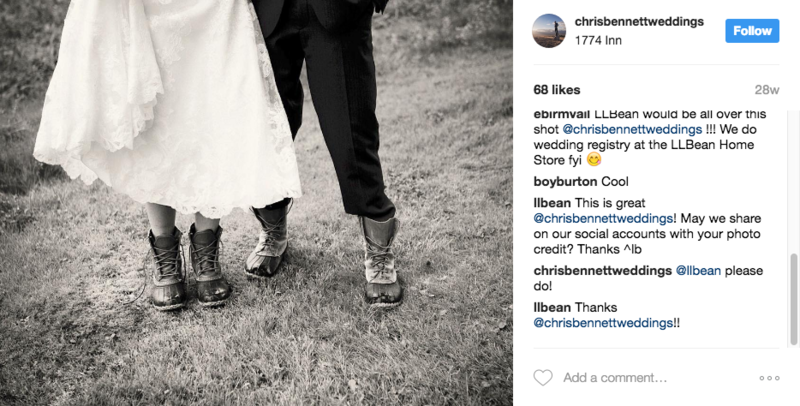 Bean boots at their outdoor wedding. Once permission was acquired, L.L. Bean posted the image (with photo credit) to their other social media profiles. The image on Facebook alone earned over 550 engagements. I don’t know about you, but this image made me think about L.L. Bean differently. And that’s how you shape audience perception and turn prospects into customers. I couldn’t tell you what team won the 2013 Super Bowl, but all marketers know the brand winner was hands-down, no questions asked, Oreo. 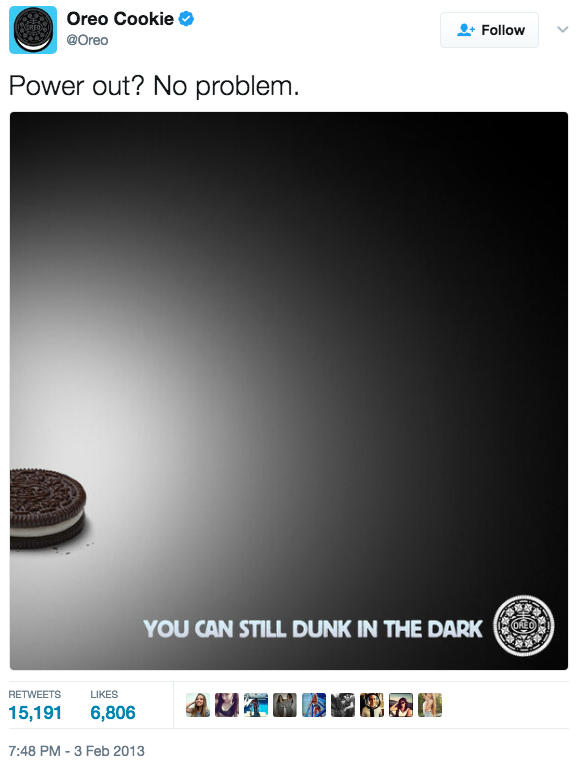 With a single tweet posted at the exact perfect moment, Oreo totally dominated the Super Bowl conversation. According to an interview with Wired magazine, the agency who handled Oreo’s game-day tweeting had a 15-person team assembled to address any situation that might have occurred during the game. The agency explained it was a combination of pre-planned tweets and in-the-moment reactions that led to their ultimate success. 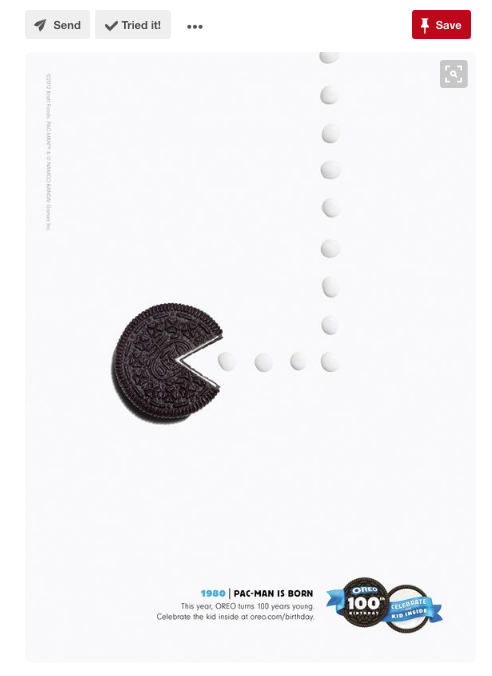 Four years later and Oreo is still pushing the creative envelope, just check out their Pinterest page. Not only are they sharing seasonal and everyday recipes including the Oreo cookie, but they also develop creative images featuring the signature cookie in creative ways. My personal favorite is their “History Through Oreo” board that uses the cookie to illustrate events through history. The moral of the story – don’t be afraid to reach to react to events in real time, and don’t shy away from putting your product front and center in the process. The integration of video into social media has forever changed the game. And no one uses video quite like late night hosts – case in point, James Corden’s Late Late Show. Following the departure of Craig Ferguson at the end of 2014, CBS shocked millions when it hired relatively unknown British actor-comedian James Corden to host The Late Late Show. However, within its first year, the show set a YouTube record for most watched late-night YouTube clip ever. The feat was accomplished by Corden’s original segment, “Carpool Karaoke” featuring Adele. As of this writing, the clip has more than 155 million views on YouTube. Carpool Karaoke is so popular that Apple bought the rights to the segment and are producing a stand-alone series, available exclusively on Apple Music. However, this is far from Corden’s only hit. His other popular segments include “Drop the Mic,” “Roll Call,” and “Fill Your Guts or Spill Your Guts.” While these segments are not produced to exclusively appear on YouTube, they show the power of using video to promote your overall brand. I know I can’t stay up to watch his show in real time, so having the ability to pick and choose which clips to watch the next day still makes me a loyal follower and fan. You can develop a dynamic social media platform too. First, you define your ultimate customer experience and then find inspiration in your best and brightest customer interactions. They will tell you what and how they want to engage with you. That is something LL. Bean, Oreo and you can take to the bank. Do you have a favorite brand on social media? Share your thoughts in the comments! Sydney Smith has been the Dynamic Social Innovator at 6AM Marketing since March 2017. She has a Master's degree in Interactive Media from Quinnipiac University and extensive experience creating content and social media campaigns.